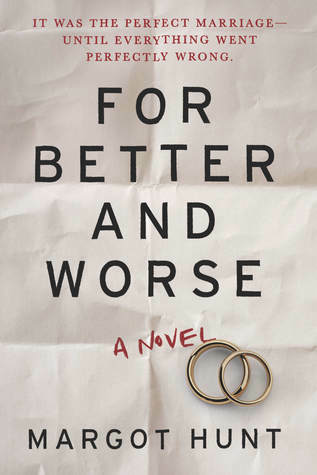 For Better and Worse by Margot Hunt– On their first date back in law school, Natalie and Will Clarke bonded over drinks, dinner and whether they could get away with murder. Now married, they’ll put the latter to the test when an unchecked danger in their community places their son in jeopardy. Working as a criminal defense attorney, Nat refuses to rely on the broken legal system to keep her family safe. She knows that if you want justice…you have to get it yourself. My Thoughts: I got completely sucked into this book. I literally read the entire 336 page book in 6 hours because I could not put it down. The premise was intriguing and the prologue hooked me immediately. Throughout the entire book I could easily put myself in the position of Nat, the mother. Having been a foster parent, let me just say that I have seen the worst that society has to offer. The storyline was very authentic to me and the legal details were well researched and realistic. I knew where the story was going but part of the great suspense in the first part of the book was wondering when and how. After the main event happened the story did not drop off at all. The suspense level stayed high and the tension ramped up as I waited to see the resolution. The only reason this book is not a 5 star for me is the ending. The resolution was too neat and unrealistic for me. I read this too and liked it. I thought the ending had a bit of a twist that wasn’t all that neat – what the mom decided to do next I mean! I love a book that you get so into that 6 hours pass by and you finish it!